For those bounty hunters with deep pockets this Halloween. The new Supreme Edition Boba Fett costume is coming out in stores soon. Only $900 for the entire costume. OUCH!! holy crap thats nice! Definitly gonna save for that, gonna need it when the zombies attack! Actually, I'm not sure its better than McCoys. The visor on this isn't dark enough, but the rest of the helmet looks decent. The chestplates look way too small, and the overall look is too....neat. well its nice, if you lack the tallent to create your own, Which I am indeed lacking. I have to agree that the chest pieces are way too small. The coveralls look way too clean (I assume that's what you meant by being too neat?). Cleaner than the rest of the outfit, anyways. Yeah. It looks like it was just made, and hasn't fought so much as a full stomach. Much less dozens of thugs and bounties. Probably. The irony is you can get that many pieces in metal for less than a hundred bucks. You could have a vastly superior set of armor for less--probably the hardest part is the paint job, if you're going for an accurate Fett. you mean like one of these guys? thats pretty cool is that an actual skin for the game? The helmet on that new Boba looks really good, but after that... It almost looks like a plastic action figure or somethin. After you knock um' down McCoy, I'll jack his jet-pack That actually looks pretty good to, and I'm dying to get my hands one one.. The concept is good, but the execution is poor. At almost $1K you'd think it'd be something close to movie quality (well, more so then those $20 cheap-o costumes kids run around in at Halloween), but it just doesn't look right at all. Are there other costumes like this? And is their quality better or wrose compared to Fetts? I hope the Museum Replicas (Windlass Studios) versions will be of higher quality, whenever they come out. They usually make their other weapons and armor with re-enactors in mind, so they make them as accurate as possible. I still have yet to see any of their Star Wars armor to come out yet, but I'll bet the first things they have out will be Stormtrooper armor (geared towards the 501st, obviously). 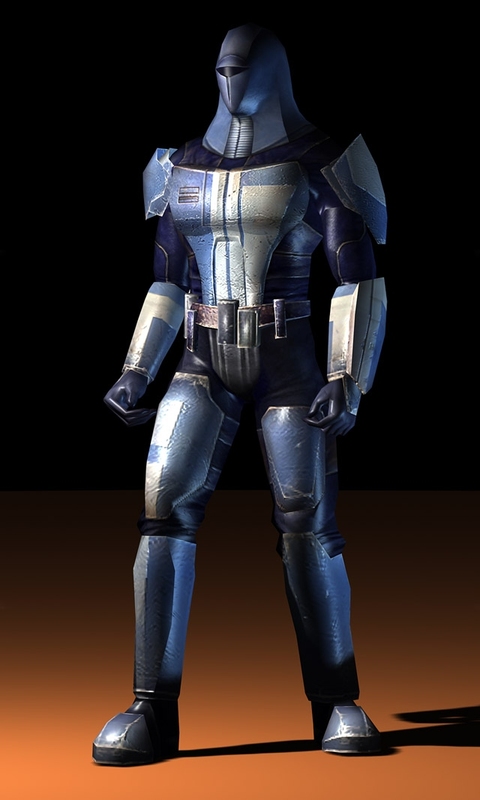 If the trooper armor passes the 501st criteria, then the Mando armor should be of the same quality, I'd think. A lot of their "fantasy" armor is done fairly well, like their Assassin's Creed stuff, based on the game. But it's still really pricey. Probably cheaper just to make your own. But, again, short of the announcement, I haven't seen anything actually out, yet.